It might be tempting to drink less water when it’s cold, particularly in the winter. However, the risk of dehydration actually increases during winter, specifically because the body’s thirst response is reduced by up to 40% during periods of cold weather. 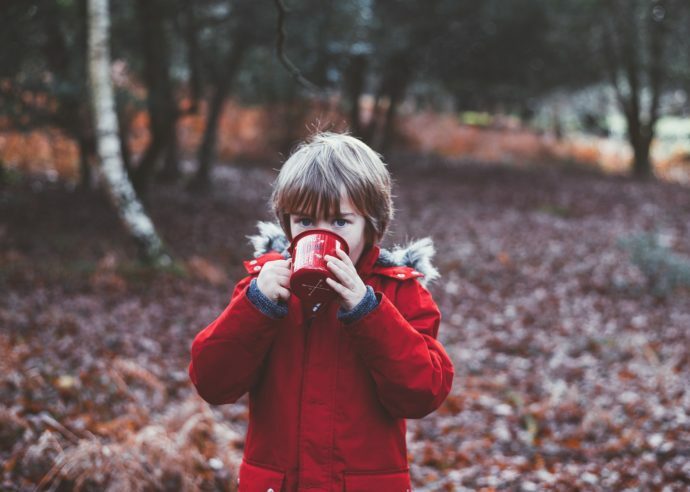 Your children may not want to drink as much water in the cold weather, but dehydration has been linked to a number of ill effects and health problems. There are many reasons why encouraging your children to drink up during the winter months is the key to hydration and happiness. Protect your child from the uncomfortable symptoms of winter dehydration, keep winter skin in tip-top condition, and ensure water lost during the season is restored successfully by following our advice on getting your child to drink more water – even in winter. Many adults enjoy drinking water whatever the season, but most children consider it a flat-tasting second best to juice and sugary drinks.Making water fun and tasty is a great way to ensure it’s the first choice for the fussiest of kids. Get them involved in the process by freezing fruit into ice cubes to add to drinks or infusing water with their favourite flavours. Filtered water can also provide a tastier experience for people of all ages, including children, removing the unpleasant tastes and odours that often go hand-in-hand with tap water. Discover more reasons why a water filter is worth having here. What your child drinks from can make a huge difference to their water drinking experience. Give your child their own special drinking cup, and even let them pick one for themselves. Child-sized drinking accessories also deliver more comfortable drinking, with cups much easier to hold and use. As they grow, get them involved in retrieving their own water, encouraging them to help themselves via the water dispenser or tap. Reward systems work wonders in every area of child development, and can even be used to encourage water drinking. Offer a reward every time your child hands you their empty bottle and watch their hydration levels soar. As the saying goes, you’ve got to “practise what you preach”. You should demonstrate the importance of drinking water during winter by doing it yourself. Healthy habits can be instilled through simple observation, so get involved in taking on your very own winter water challenge.